Lunch hour should be a time to relax, get together with friends, and recharge for the rest of the school day. Talk to us about the most (and least) braces-friendly foods and recipes. By learning what foods to avoid and adjusting some old favorites, your school-age child can continue to enjoy healthy, tasty lunches. Most important, visiting Dr. Don Connolly and Dr. Stanley Sokolow at our Santa Cruz, Aptos, or Watsonville, CA office for an emergency repair will not be on anyone’s list of afterschool activities! You might be surprised to learn that Dr. Don Connolly and Dr. Stanley Sokolow and our team recommend an orthodontic appointment even before your child has had that last visit from the Tooth Fairy. In fact, orthodontic assessments at our Santa Cruz, Aptos, or Watsonville, CA office can be beneficial at many stages of your child’s life. Let’s look at some of the reasons why. 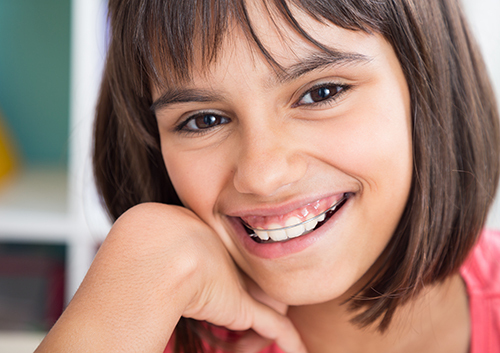 If you have any concerns about your child’s teeth or bite, even before the permanent teeth arrive, give our Santa Cruz, Aptos, or Watsonville, CA office a call. 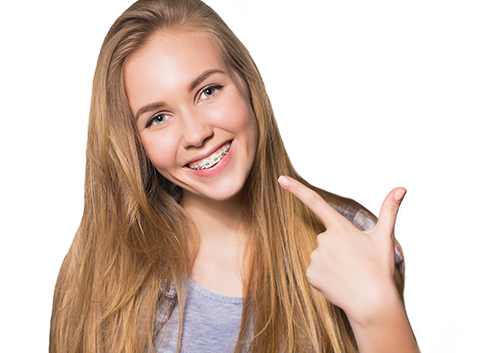 Early treatment can often prevent future problems and might even lead to faster orthodontic results. At each stage of your child’s growth, we are here to provide your best options for healthy, happy smiles. Because any foods that are crunchy, chewy, or hard to bite into can damage brackets and wires, it’s time to freshen up your go-to snack list. Luckily, Dr. Don Connolly and Dr. Stanley Sokolow can recommend many healthy and braces-friendly choices when children need something to tide them over until dinner. You are constantly looking for ways to make your children’s lives better. Mix and match any of these foods for a snack that’s not only good for their braces, but good for their teeth and bodies! Let us know your child’s favorite snack the next time you visit our Santa Cruz, Aptos, or Watsonville, CA office! Talk to Dr. Don Connolly and Dr. Stanley Sokolow the next time you visit our Santa Cruz, Aptos, or Watsonville, CA office about the dos and don’ts of desserts—we have tasty suggestions that will make those special occasions both sweet for you and safe for your orthodontic work!